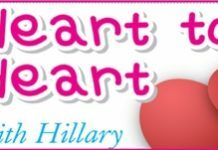 Home Blogs Heart to Heart with Hillary Can I believe her? I came to Thailand for a two week holiday and met a young girl, as you do. We got along well, so I paid for her company up till the day before I left. That was when she started ringing me up and asking to see me, saying she was in love with me. Even if she couldn’t be with me for my last night she wanted to come and see me before the taxi picked me up. I felt bad about this but all my mates told me to forget about her, but I kept on answering her calls, but the mates stopped me from giving in, but I still felt bad about it all. What do you think I should have done? You forgot where you met this young lady who fell madly in love with you after 10 days. You paid for her company, my Petal. It was a business arrangement, not a matrimonial contract. By making you feel indebted to her, she was much more likely to extract even more money from you, which is why she wanted the face to face meeting, even on that last morning, you never know what you can get, even if it is just what is left in your wallet. You don’t say how old you are, but you are obviously a babe compared to the lady from the bar. What should you have done? Just what you did do, and that was to cut the relationship once the period of hire was completed. It was a short-time holiday romance, and a paid one at that. Next time you come over, you will hopefully be more mature, more wise and keep a tight hold on your wallet. Staying with Mama? Or with the Gik?